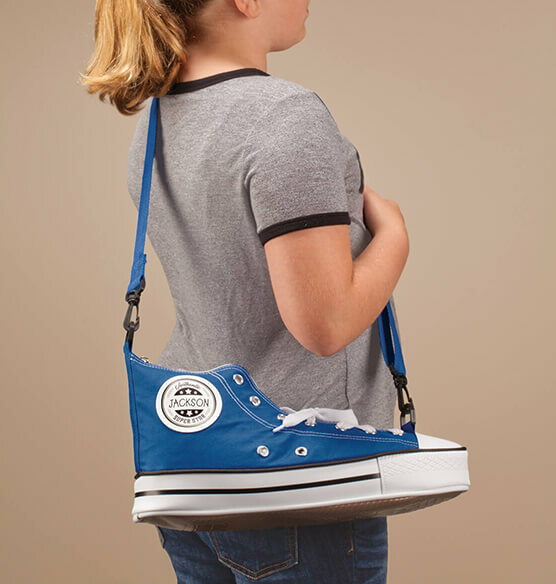 Kick boring backpacks to the curb with this fun personalized Sneaker Backpack. 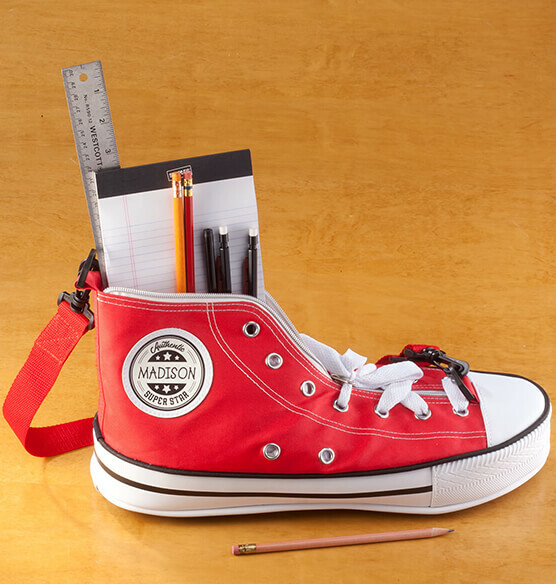 Crafted of sturdy canvas and rubber, this personalized backpack features a zipper closure, shoelace closure, side air vent portholes, white rubber toe box, textured toe bumper and textured rubber tread. 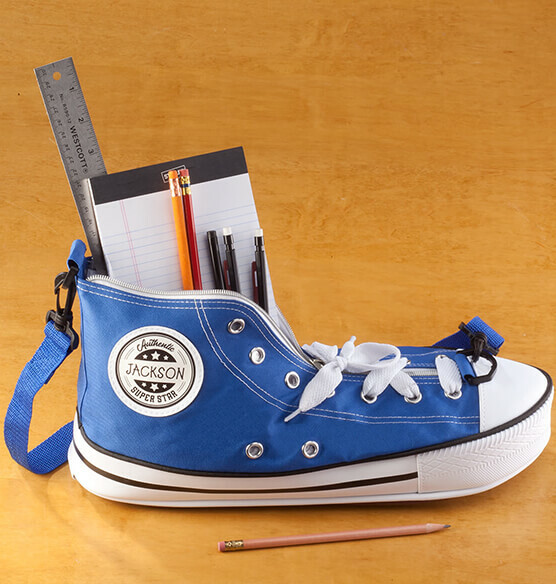 A personalized ankle patch displays a custom name and the phrase, "Authentic Super Star" for cool visual appeal. 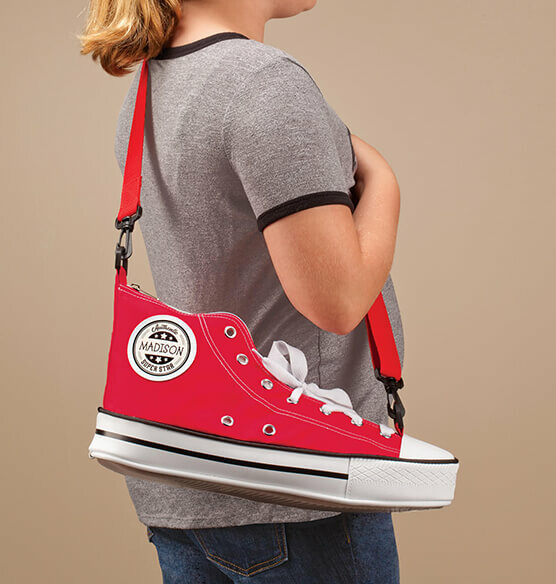 An adjustable strap is included for easy toting. Choose red or blue color. Personalize name; limit 1 line, 10 letters/spaces. Specify color; red or blue.